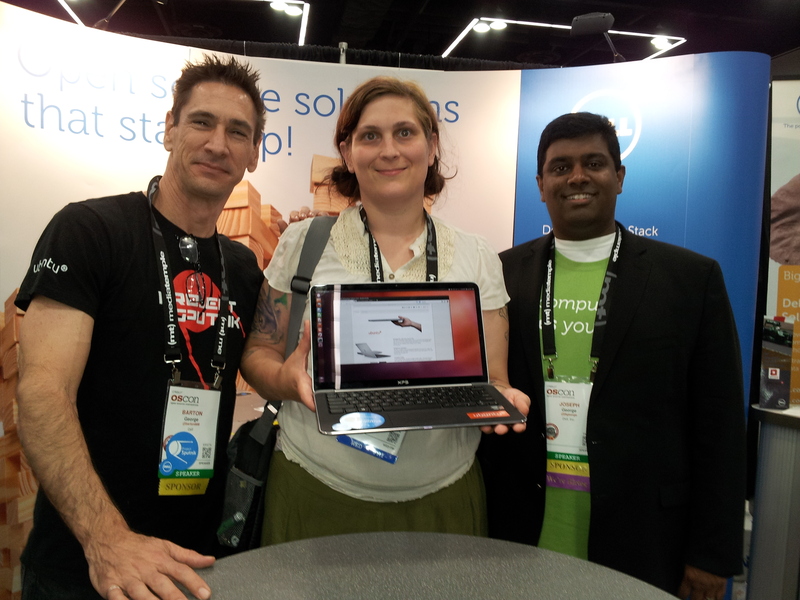 Last week, Dell was out in force in Portland, Oregon, representing at OSCON. We had a booth and gave a few talks. The Sputnik drawing at the Dell booth. And here is the lucky winner, Katrina Prosise, a comp sci student in Portland. Stay tuned to this blog over the next week or so as I will be sharing a bunch of the video interviews I conducted while at OSCON. This entry was posted on Monday, July 29th, 2013 at 10:18 pm and is filed under Uncategorized. You can follow any responses to this entry through the RSS 2.0 feed. You can leave a response, or trackback from your own site.